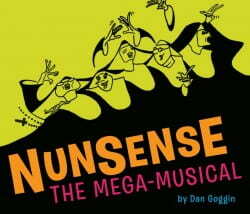 GREEN BAY – The University of Wisconsin-Green Bay Theatre & Dance and Music Departments will be presenting “Nunsense: The Mega-Musical” by Dan Goggin Nov.15 and 16 at 7:30 p.m. and November 17 at 2:00 p.m. and 7:30 p.m. in the University Theatre located in UW-Green Bay’s Theatre Hall building. The musical is directed by John Mariano, with musical direction by Courtney Sherman and choreography by Denise Carlson-Gardner. Watch the video. The Little Sisters of Hoboken have a crisis on their hands and need to raise money fast! Reverend Mother has approved a tasteful variety show in the Mount Saint Helen school auditorium but the understudy, Sister Robert Anne, wants to be a star and everyone needs to keep an eye on Sister Amnesia until she can remember her real name. The nuns pull out all the stops including tap dancing, habit humor, an audience quiz, performances by the Mount Saint Helen Band and the Saint Andrews Sisters of Hoboken, and a special appearance by convent cook, Sister Julia, Child of God. 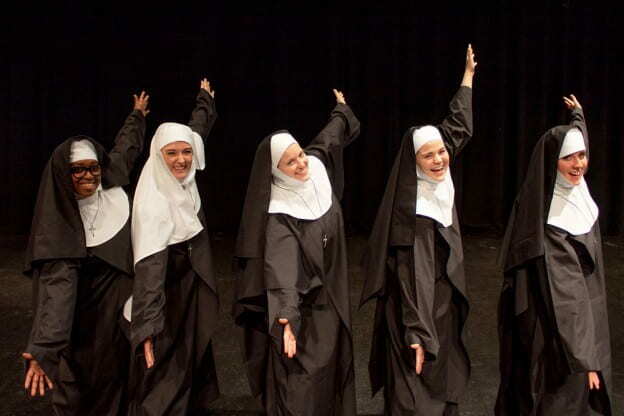 This all-new “Mega-Musical” version promises more nuns, more laughs, and super-sized production numbers! Rounding out the cast are Andi Koene as Sister Julia, Child of God, Amanda Meo as Sister Mary Wilhelm, Alyssa Hannam as Sister Mary Brendan, Brienna Landsness as Sister Mary Luke, Myles McKnight as Brother Timothy, Olivia Smith as Sister Mary Virgil, Jessa Boris as Sister Mary Louise and Brandon Otten as Brother Pratt. Tickets may be purchased online at www.weidnercenter.com and www.ticketstaronline.com, by calling Ticket Star (1-800-895-0071) or the University Ticketing & Information Center (920-465-2400), or visiting the Ticket Star Box Office at the Resch Center or the University Ticketing & Information Center, located in UW-Green Bay’s University Union. Tickets are $30 for adults in advance and $33 at the door, $23 for senior citizens and students in advance and $25 at the door. UW-Green Bay students $17. Group rates available. The venue box office opens 90 minutes prior to the performance. The musical is recommended for ages 12 and older. For additional information on this event, please visit www.weidnercenter.com/events/nunsense-the-mega-musical-by-dan-goggin. For a full listing of UW-Green Bay Theatre and Dance events for the 2018-19 season, please visit www.uwgb.edu/theatre/season/calendar-of-events. This entry was posted in News Releases and tagged CAHSS, Green Bay Music, Theatre and Dance on November 9, 2018 by Sue Bodilly.